Will Shorter Informed Consent forms with Visual Aids Improve Understanding of the Document in Adult and Elderly Populations of Clinical Trials? 2nd ed. Nicholas Rescher, New Brunswick, NJ and London; Transaction Publishing 2015. Reviewed by Donna Yarri, PhD., who is Professor of Theology at Alvernia University in Reading, PA.
Jim Newheiser, Phillipsburg, NJ: P & R Publishing, 2017. Reviewed by Michael G. Munoz, D.Bioethics, MA(Bioethics), MAR, MEd, who worked in fire fighting for over 30 years, is adjunct faculty at Spokane Community College, and serves on the Disaster Clinical Advisory Committee, Spokane, WA. Charles A. Davis, Downers Grove, IL: InterVarsity Press, 2015. 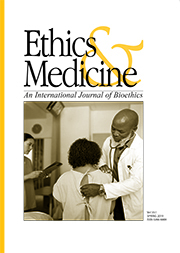 Reviewed by Sharon A. Falkenheimer, MD, MPH, MA (Bioethics), PhD, who is a Professor of Bioethics and member of the Center for Bioethics and Human Dignity at Trinity International University in Deerfield, IL.